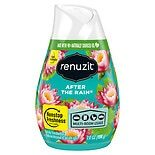 Shop Renuzit Aroma Adjustables Long Last Air Freshener After The Rain (7.5 oz. )7.5 oz. 2 for 3 dollars and 00 cents or 1 for 1 dollars and 99 cents 2/$3.00 or 1/$1.99$0.28 / oz. 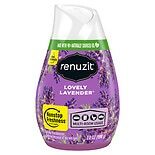 Shop Renuzit Renew Air Freshener Solid Fresh Lavender Purple (7.5 oz. )7.5 oz. 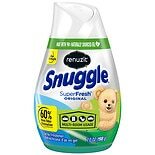 Shop Renuzit Aroma Adjustables Long Last Air Freshener Super Odor Killer (7.5 oz. )7.5 oz. 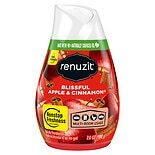 Shop Renuzit Aroma Air Freshener Solid Apple & Cinnamon Red (7.5 oz. )7.5 oz. 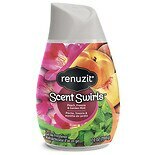 Shop Renuzit Gel Air Freshener Purely Peach Orange (7 oz. )7 oz. 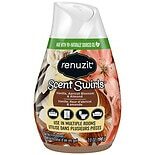 Shop Renuzit Aroma Air Freshener Solid Simply Vanilla Brown (7.5 oz. )7.5 oz. Shop Renuzit Odor Neutralizer Pure White Pear & Lavender (13 oz. )13 oz. $299$2 and 99 cents$0.23 / oz. 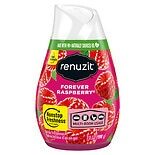 Shop Renuzit Aroma Adjustables Long Last Air Freshener Raspberry (7.5 oz. )7.5 oz.